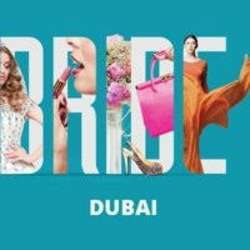 The Bride Show-Dubai provides one with an once in a lifetime opportunity to create bespoke wedding wardrobe from the fashion industry's top innovators. Mainstage will showcase the following: Fashion shows by well established designers of the region; Demos/workshops by exhbitors, influencers; Special awards and Exclusive bride fashion shows. This event exhibits products like hair styling, makeup, wedding gowns, accessories as well as jewelries and all others that makes a wedding complete. To make the wedding an epic affair, build a bespoke designer wedding wardrobe, catch the cutting edge trends on the catwalk shows, choose your honeymoon destination, get pampered and transform your home, this event is tailor-made for your needs.